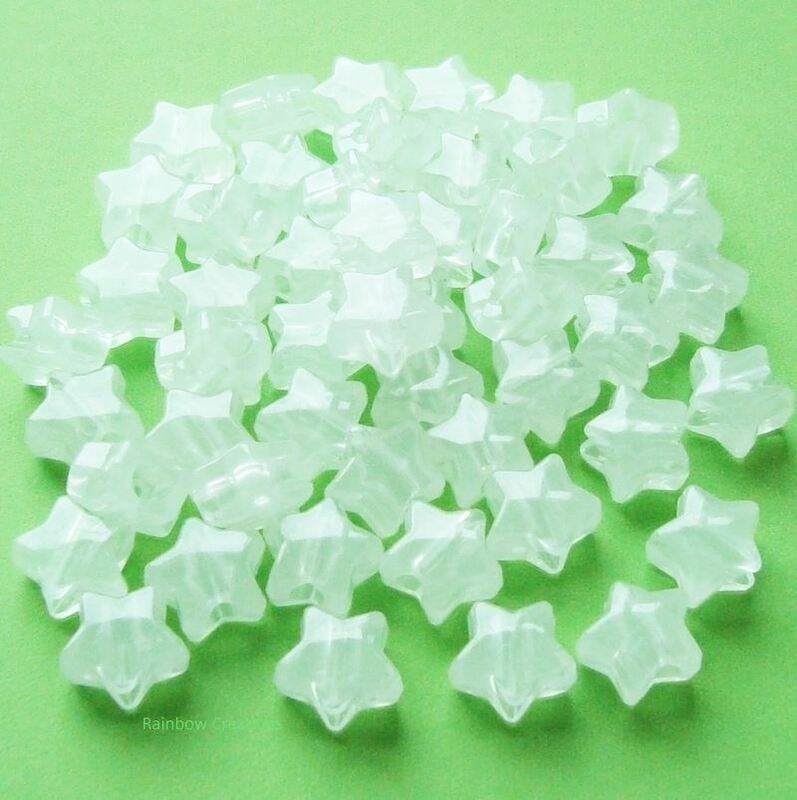 Glow in the dark star shaped pony beads. 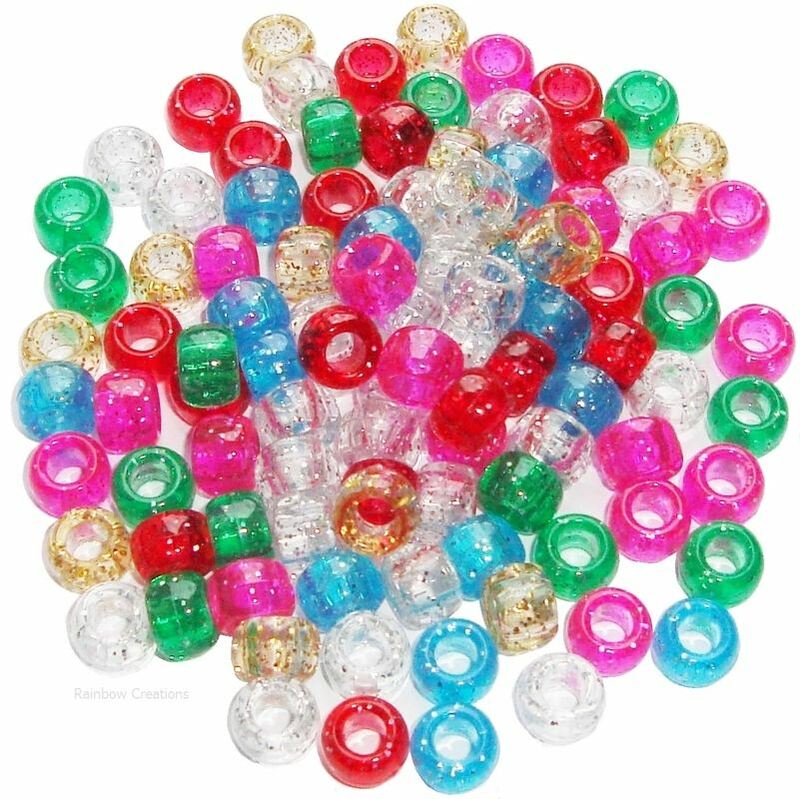 Clear plastic glow the dark star beads, which can be used alone or with our standard glow in the dark pony beads. 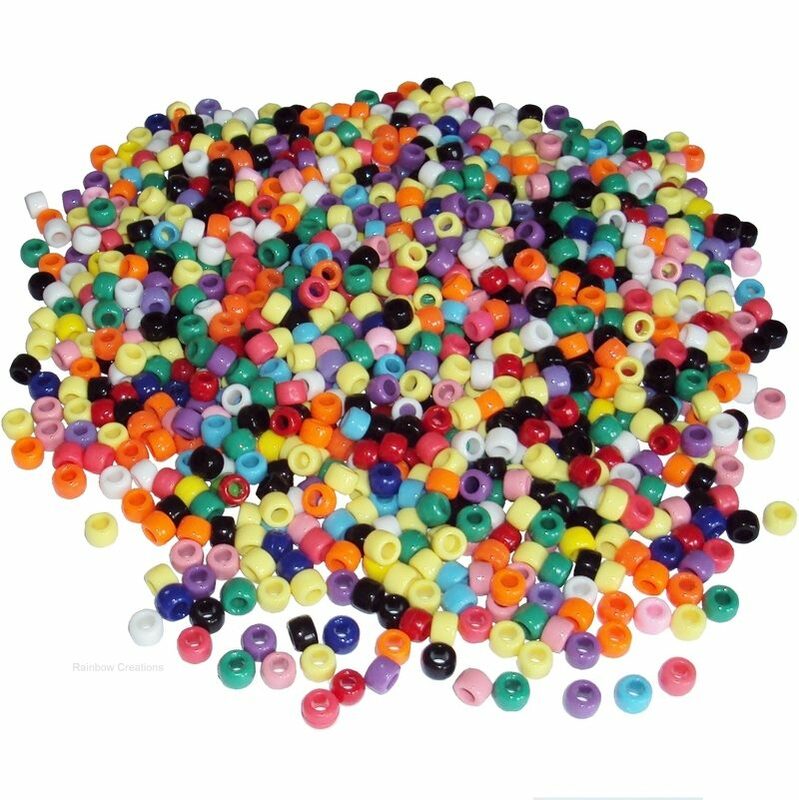 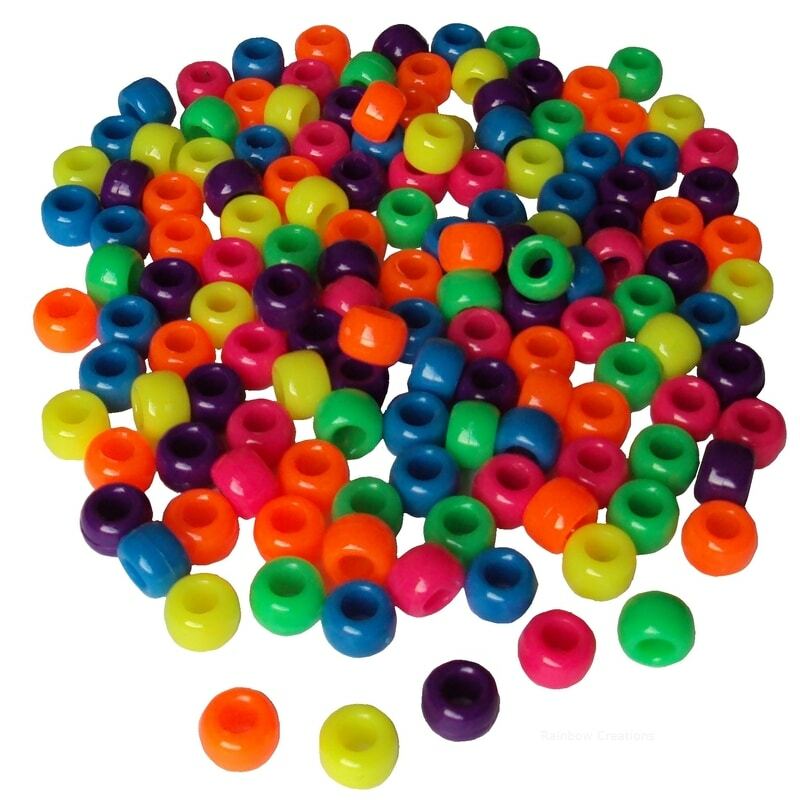 These beads are popular at Halloween, for use at Christmas parties and with both boys and girls.